What do you want the NX to be or what do you think it will be? Yeah I know, I keep on making these. But I keep on coming up with different ideas for it (and can't find the old threads). I am convinced that Nintendo needs to focus on a lower-cost console that's more approachable to most people, kind of how many people bout a Wii alongside the PS3 or Xbox 360, making the Wii the most popular console. While having the most powerful console will always be demanded, I don't think that's an arms race that Nintendo is willing or able to compete in. To me it seems that Nintendo wants to focus on making scaleable games, where you can pop the cartridge into the NX console and play it at full quality, or pop the game into a handheld and still get a decent experience. Developers would need to make sure their games work with this, so using x86 and catering to port developers would simply not work. The Cafe system is still a pretty efficient system, that we'll have to see how much it can flex. I don't think the NX console will be more than 3x powerful then the Wii U, as Nintendo will mostly focus on improving anything that developers find limiting at that budget level. I'm guessing a price point of $250 or less, with the only controller being a Pro Controller (or an updated version). That would allow it to play the entire virtual console library (except DS) and can even play Gamecube games if analog (or trackwheel) triggers are used. Many Wii U games support off-screen mode, and so should be patchable to remove gamepad requirement. You can still buy a Gamepad or Wii remotes to play the rest of the games though, but they are not included - or at least not included in the base model. 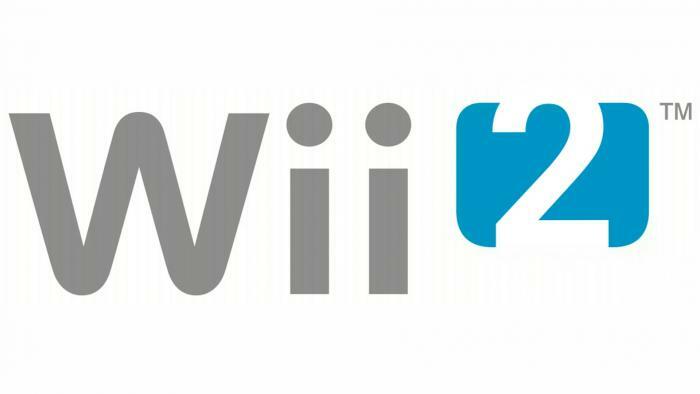 There should be little to no similarity to the Wii an Wii U, either in style or branding. It caused too much confusion for the Wii U. The sole exception would be if the flexible NX architecture allows the Wii U to be upgraded to support NX games. But that's a level of complexity that I don't have enough information on. After that, support for an HDD should be built in (either as an internal drive bay or an external attachment like the Xbox 360. "There should be little to no similarity to the Wii and Wii U"
This is important.The Wii was a succesful fad from 10 years ago, but people got over it. Core gamers don't really like it and casuals moved on. They need something new. I also think they should stop the DS branding. Nintendo needs something new that makes people go "Wow, this looks so cool and trendy, I need it!" It needs to be a strong console, as strong as a ps4( if not better). It also needs a proper controller similar to the Xbox one controller(preference). Nintendo's gonna have to take a hit early on(in terms of money) but it will bring back its fans that left them(due Nintendo F'ing them over. The system will be similar to what's on the market but is their games that will differentiate them from the competition. From what Iwata was saying and now Kimishima, the NX will provide a "new" gaming experience. Whatever that is, we do not know yet however I would bet it will not be similar to what's on the market. Make the console they should have but never did. Make it powerful. Continue to develop the wiimote, make it respond to gestures precisely. Get rid of the NES controller style layout, replace it with 'pistol grip' in one hand and nunchuck in the other. Keep the gamepad but put an IR camera on it(I like the gamepad, but maybe it could be optional) . The Wii was/is a fantastic machine, but it over promised a world of deep immersion through its user interface, and under delivered because of the lack of hardware sophistication of the time. I think Nintendo didn't know what they had with the Wii, and we didn't know what we were asking for. We all said gaming machine, but what Nintendo had created was a simulation device. A simulation device with immense potential that could never be realised because of it hardware limitations, thus contributing to the disposable nature of many of its games. The magic word is simulation. Nintendo has now the opportunity to create the machine we always new we wanted, continuing a legacy and carrying on a tradition of innovation. Edited by Nukie, 01 December 2015 - 05:22 AM. ^"we" You mean You as I would hate that. The time for a cheapie console is long past. The Wiiu isn't a cheap console along the lines of the Wii, but it is definitely "downmarket in comparison to the competition. No on wants that anymore. Not even kids. If Nintendo wants to succeed, they need to pack it with power and find a way to keep it somewhat affordable. Nintendo IP stands on its own. But add third parties with the lure of better hardware than the other guys so they can strut their stuff, and maybe get daring with some major third party exclusives and they will succeed. Anything along the lines of what they've been doing will not work. they must reinvent along the lines of a startup and go for the kill. That means going after MS and Sony to take their lunch money. And yes. It is possible for Nintendo to succeed doing that. If the Wii U were more powerful than say the PS4, and cost the same or even a little more like the X1, no one would have bothered with PS4. The market for the Wii is gone, It's on Apple TV, iPhone, and Amazon Fire TV now. home based game consoles need to pack power to have a reason to exist. the NX home console module will likely do that. HIGHLY IMPORTANT: f they want to do a "differentiating innovation" with the console, great. BUT DO NOT do so at the expense of making the console notably more powerful than the competition (i.e. : the very cool Wiimote combined with the decidedly uncool Wii using horribly outdated specs). Edited by Socalmuscle, 13 December 2015 - 12:58 AM. The 3DS outsells the Vita. Your argument is invalid. That's not a very viable take. The 3DS is a MOBILE system. POWER is not what it's supposed t excel at. That's where the Vita whiffed - they focused on screen and power - while system support and battery life sucked. a HOME CONSOLE must be based on power. In case you missed it, the PS4 and Xbox One both easily outsold the Wii U - and gained much more third party enthusiasm BECAUSE THEY WERE MUCH MORE POWERFUL. And they did so at a reasonable price. I didn't say the time for a cheapie mobile is past. I said the time for a cheapie console is. Big difference between what I said, the reality of the PS4/X1 vs wii u in the home space, and what your example was. There may be room for weak mobile units. But there is no tolerance for a home based system that is weak. It makes no sense to have it weak since it doesn't need to be concerned about the compromises a mobile system does. Watch. The NX will pack some muscle. Because if it doesn't, it will be a catastrophic failure. The 3Ds sold more because it was cheaper and had a large library. No matter what Nintendo does, they will not do what is needed to cater to the whims of the AAA developers - who don't even meet Nintendo's quality control and family safety preferences. Big developers want insanely powerful systems at low costs to make up for the poor optimizations of their bloated and buggy engines, and demand the manufacturers bend over backwards to meet their demands. Nintendo would effectively destroy itself attempting to meet that criteria. that pretty much rules out major third party support. While the Wii's controllers were a major selling point, I also believe that the low cost of the system and the approachable games were also just as important. It wasn't proper competition to the PS3 and 360, but it was a step up from those lousy Vtech consoles (and more tween friendly). It worked great as a secondary console to play the Nintendo library, and as a cheap console for families that wanted an introduction to the latest console generation. All Nintendo needs to do is to make sure it's affordable and have a decent library available at launch (and just before Christmas and summer break). The reason the 3ds sold due to the fact that it's simply a better mobile. Not as powerful, but you don't expect a mobile to be as powerful as a home unit. This is what brought out the third party support. Nintendo is stupid if they feel they don't have some responsibility to appeal to 3rd parties. But I believe they've wised up. Pride goes before a fall. And there's nothing more humbling than to get whooped by your competitors so badly. Also Nintendo must cater to their consumers, many of which have moved on to buy systems that actually deliver. Power. Nintendo cannot afford a wii u or wii strategy in a market that no longer supports it. The NX MUST be powerful and it MUST appeal to developers as well as consumers. It is not a mobile and mobile strategies will not help its cause. At its core, It's a home system and home systems must have a reason to exist. That reason is something that a mobile has to compromise - power. The lack thereof is the reason WHY devs deserted the wifi u. It is why there was and is no appreciable library at launch or even now. EA didn't want it because they knew it couldn't deliver what they needed. Some of the latest third party engines couldn't be reasonably used. Etc. The NX home center must be perceived as powerful. More so than ps4. Or it will be Wii U all over again. Nintendo wants its glory back. Not to be the third choice. I actually think it needs to be a VR system. This is where the buzz is at the moment in gaming. There was a time when Nintendo was at the forefront of gaming tech - it needs to get back there. Based on what we know/rumors here is my ideal of what the NX NEEDS to be. Based on the name and the rumors, it seems likely we'll see a 'hybrid' console. My idea is that Nintnedo needs to satisfy both western demographics who want a powerful console that can entice 3rd parties as well as the Japanese market where handhelds are dwindling but still too big of a market to drop. One of Nintendo's biggest problems has been them having to split their development across handhelds and consoles; it stretches them thin and forces them to put out different versions of games. So what's the answer? The NX is a multi-SKU platform that is 100% cross compatible. Same OS, same X86 architecture, same account. Here's the breakdown. First you have the main SKU which is a normal console. Step ahead in hardware compared to the PS4, normal controller, DVD/Blu-ray playback, 1TB hard drive, achievement system, modern online infrastructure,etc. X86 architecture means that 3rd parties have no reason to stay away since the cost or porting would be minimal. Nintendo continues to release their amazing first party IPs. It's the system western audiences want. Here's where the new comes in. All games released on the handheld can be downloaded and played on the console. That way their console has the most robust library possible and the handheld can't cannibalize console sales. For people who love physical, it has a cartridge slot for handheld cartridges. They sale the handheld games for $40 as usual and 30$ on the eshop. That way western gamers feel they're getting a good deal when they buy the next over the top Zelda, Pokémon, Fire Emblem, 2D Metroid, etc. and people who love physical still have their option they can pay for. The next SKU is the handheld. It's basically a next gen handheld GBA with the same control setup as the console with the same OS simply scaled down. It can play the 'handheld' titles that would be your typical 3DS fair. Fire Emblem, Pokémon, 2D Mario, Monster Hunter, JRPGs, indies, VC, etc. to satisfy the Japanese demographic. If you have the console though you can stream the console games to the handheld via wifi, meaning Nintendo never having to do two versions of their AAA titles (3D Mario, Mario Kart, Smash), basically all the games we got two versions of this gen that potentially stole console sales. The final SKU is a bundle of the first two at a discount. With this model Nintendo could focus on their home console while maintaining their handheld demographic but never competing against it. Why are you throwing x86 into there? Because that's the industry's standard architecture. You really think Nintendo is "Industry Standard"? True that VR is causing some "buzz." But it's a way off from making "cash." Any VR system should really just be a remote display that is fed from the main unit. So the console can be used normally as well as in a VR setup. No one on earth wants to be stuck HAVING to use VR for your gaming entirely. It wears on you. But it's cool once actual "good" games are played on it. There is maybe ONE now that's decent. But it looks like iPad graphics. I think Nintendo will offer the VR extension to complement the main hub/core. But VR isn't a money maker at all yet. So a portable nearly as powerful as Xbox One and a main unit @ 4X as powerful as PS4 sound good to anyone? Two Words: Virtual Reality. Or maybe Augmented Reality (think Microsoft HaloLense). If Nintendo released that it would be able to compete head on with what other companies are doing. Oh, and there is no winning developers back. The only thing we will see is more work being done with third parties. But other then that, we won't see big franchises come to NX.